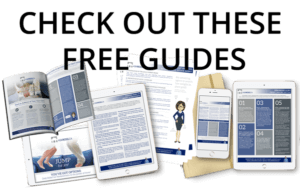 Refinancing is the process that pays the existing mortgage and/or any other legal claims against the property and sets-up a completely new mortgage. Refinancing can save you lots of money when market interest rates drop one or more percentage points below your present rate. Mortgage refinancing can be used to reduce your interest rate, change the term and amortization of your loan or consolidate your other debt in order to improve your monthly cash flow. 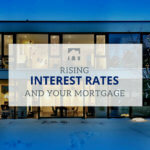 In recent years, more and more homeowners have taken advantage of lower interest rates, and have been lining up to refinance their existing mortgages. Whatever your needs… tapping into your available home equity may be the best way to achieve your goals faster. Here are some reasons to consider refinancing your home. 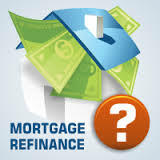 Mortgage refinancing can also assist in paying off high interest debt such as credit card debt. Today, it is possible to refinance mortgage up to 80% home value and use the new funds to pay off credit card balances, loans and existing mortgages. The advantage of doing this is to lower your total monthly payments, and to pay as low a rate of interest on your debts as possible. Why pay 20% on your credit card, if you can instead pay around 4% on your mortgage? With the much higher tuition costs of many schools and programs today, many have not set aside enough to adequately assist in the financial burden of schooling. Home equity may be the cheapest way to bridge the gap. You can put the equity in your home to work and finance the purchase of investments and/or do a debt swap to transfer non tax deductible debt to become tax deductible. If done properly you can not only benefit from the lower carrying costs, but also make all (or a portion) of your interest tax deductible. For high income earners this can cut the after tax cost of interest nearly in half! If you have home equity and are interested in further real estate investing – whether in Canada or elsewhere, you could take equity out of your current property by refinancing the mortgage and using the increase as the down payment for the purchase of an investment property. This may also allow for additional interest deductibility. If you have two mortgages on the same property such as a mortgage and a secured credit line, you can combine them into a new first mortgage providing the total amount does not exceed 85% of the property’s value. When you break a closed mortgage contract to obtain a new mortgage, you are generally faced with a prepayment cost by the financial institution. Typically, this prepayment charge is based on the greater amount of either 3 months’ interest or the interest rate differential (IRD). This penalty is paid from the new mortgage proceeds so normally you don’t need to come up with that cash up front. I can help you calculate this, and also show you ways to minimize this cost. You can expect legal and appraisal costs. Refinancing your home may make sense for you – but the process can be a minefield for the unsuspecting – make sure you trust the process to professional mortgage experts. Give someone you love a small gift card – just because. They will appreciate this even more than whatever you did for their birthday.